Organic cold pressed juices and nutritious nut mylks to revitalise, replenish & supercharge your mental and physical wellbeing. 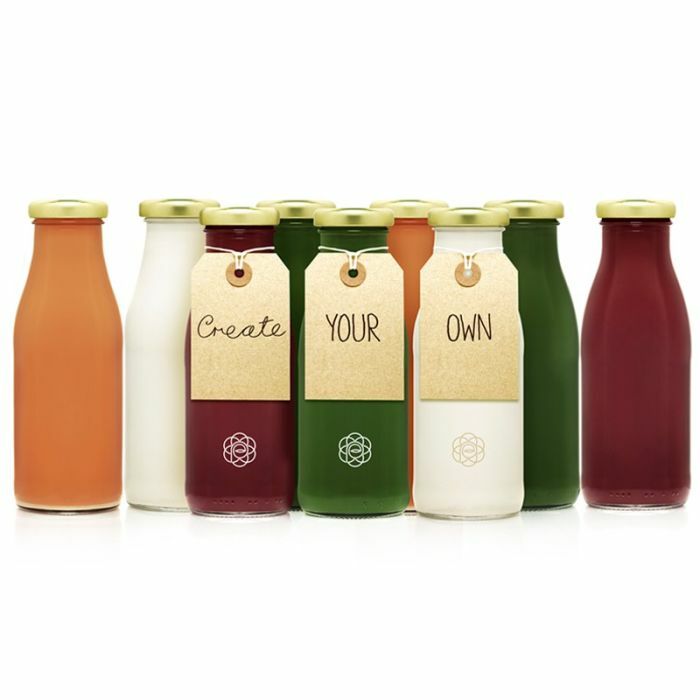 Create your own selection from four nutritious flavours of juice, four flavours of nut milk and tonics (total of 9 bottles). Shelf life is 3 days, keep refrigerated. Add a superfood enhanced shot for an extra boost!